CNN's Brian Stelter On Higher Quality Recording Of O'Reilly Phone Call: "Clearly This Tape Shows He Was Not There"
CNN's Reliable Sources aired a new, clearer version of audio that further disproves Bill O'Reilly's claim that he personally "heard" the shotgun blast that killed a figure in the investigation into President John F. Kennedy's assassination. O'Reilly has repeatedly claimed in his books and on Fox News that while he was reporting for a Dallas television station in 1977, he was directly outside at the exact moment that George de Mohrenschildt -- an associate of Lee Harvey Oswald -- shot himself in a Florida home. O'Reilly has offered no evidence to confirm this claim, and the police report filed at the time makes no mention of him. 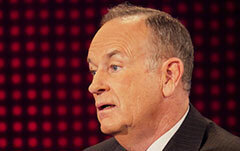 Media Matters further reported that multiple former colleagues and journalists in Florida at the time have disputed O'Reilly's story that he "heard the shotgun blast that marked the suicide." Adding to the mounting evidence against O'Reilly's tale are tape recordings of a phone conversation between O'Reilly and a congressional investigator who was interviewing de Mohrenschildt before his death. On the tapes, O'Reilly can be heard asking the congressional reporter about the details of the suicide, and adding that he is not yet in Florida -- a claim that is at odds with O'Reilly's statements that he was near the home where de Mohrenschildt killed himself. Lower-quality copies of these tapes were first posted online by former Washington Post editor Jefferson Morley in a 2013 piece for his website JFKFacts.org, as Media Matters noted in our initial report. Now, CNN has obtained the original tapes from the congressional investigator's widow, and the audio is significantly cleaner and easier to hear. O'Reilly can clearly be heard asking the congressional investigator where the suicide took place, if a gun was used, and saying "I'm coming down there tomorrow. I'm coming to Florida ... I'm going to get in there tomorrow." As Reliable Sources host Brian Stelter reported, "clearly this tape shows he was not there." Stelter also interviewed Morley, who said that he previously attempted to bring this audio to Fox News' attention, but received no response. O'Reilly has come under fire for multiple fabrications in the past few weeks, and has responded dubiously. However, O'Reilly and Fox News have so far not responded to the mounting evidence against his JFK story, instead directing inquires to the publisher of O'Reilly's book on the Kennedy assassination.